books: Delve into different worlds with the power of reading to inspire the imagination. 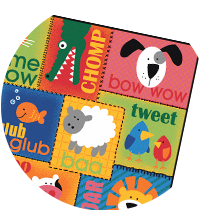 We offer a wide variety of books, to educate and entertain your youngest learners. changing tables: Make cleanup as fast and easy as possible. We have changing tables for infants and toddlers, table accessories, diapers, portable sinks, and overhead storage shelves. 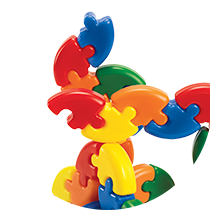 classroom bundles: Fulfill all the needs of your pre-school classroom in these themed bundles. Designed for little ones to play in comfort while learning to interact with the world around them. 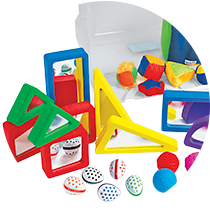 cognitive development: Discover a wide variety of entertaining and educational toys for your youngest learners, such as blocks, puzzles, manipulatives, and soft products. cribs: We have a wide variety of cribs, linens, and crib accessories for your infant or toddler. Keep them cozy, warm, and safe while they get much deserved rest. feeding: Make the family dining experience a memorable one for your little one. 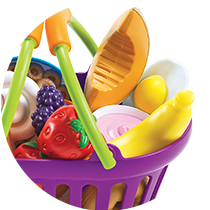 Find bibs, plates, cups, and utensil sets especially made for small hands and big appetites. 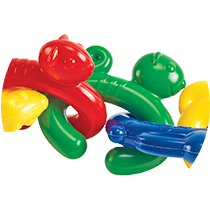 fine motor: In this section discover items that encourage children to engage in active play using their hands and wrists to promote muscle development needed for fine motor skills. 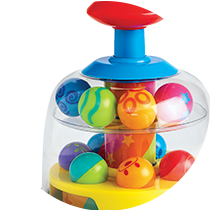 gross motor & discovery: This category contains a large selection of riders, play spaces, as well as entertaining and educational toys that will help early movement and encourage active play. infant furniture: Durable yet comfortable furnishings for your infant or toddler. 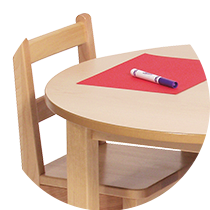 We have classroom supplies and furnishings such as colorful play mats, gates, storage shelves, and social seating. pretend play: This category contains pretend play items. Children discover and learn by imagining and doing. Our dramatic play items will nurture their social, language and thinking skills. soft furnishings: Soft furnishings from Discount School Supply provide a safe and comfy environment for toddlers and infants. 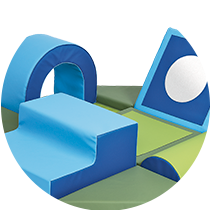 We offer tunnels and climbers, mats, seating, and more. strollers, buggies: Strollers for twins, buggies for one, or travel for the whole class. Transport multiple children in safety and comfort with our selection of buggies and strollers.